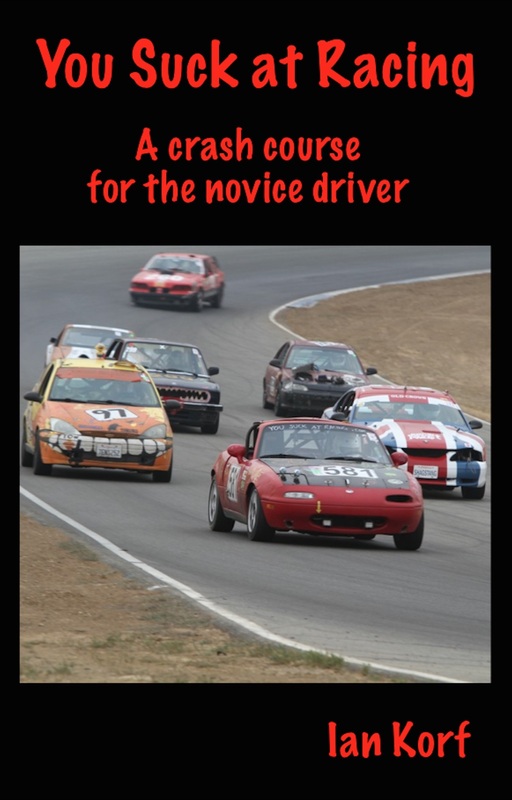 At the amateur level, most crashes can be attributed to bad judgement. But not always. Sometimes you’re the victim of someone else’s stupidity, and the worst you can say about your part in it is that you decided to get in the car. So what do you do when you find yourself in a mess that someone else made? Nobody rises to the occasion. We all fall back on our training. But who trains for getting hit? I coach mostly for Hooked on Driving, and part of their novice curriculum includes skid pad drills. When I coach, I often use the time between sessions driving on the skid pad. I find it so useful that I often choose training on the skid pad over training on the track. What? Skip a track session on a twisty ribbon of asphalt for a flat parking lot and cones? Yep. The reason is that the an HPDE session is not the place to throw your car into massive slides. It sets a bad example and potentially endangers other cars. So what do I do when I get to the skid pad? Figure 8s and switchbacks. Not many tracks feature 270° 30 mph corners, so it may seem figure 8s drills are pointless. But the extra rotation of the wheel is something that may happen in a tank-slapper. Normally, I’m a dedicated 9-n-3 driver, but I’ve learned that I have to break out of this at times. So I practice one handed, hand-over-hand, shuffle steering, and even letting go of the wheel. The thing I don’t like about figure 8s is the low speed. So that’s where the switchbacks come in. It’s basically a slalom course, but unlike an autocross, the cones are much farther apart. This allows me to get a lot of speed and turning through each cone. If you’re spending a day on the skid pad, put cheap all season tires on the rear. This helps FWD cars oversteer and saves cash on RWD cars.